Get Jethro Tull Band essential facts below. View Videos or join the Jethro Tull Band discussion. 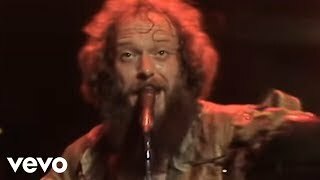 Add Jethro Tull Band to your PopFlock.com topic list for future reference or share this resource on social media. 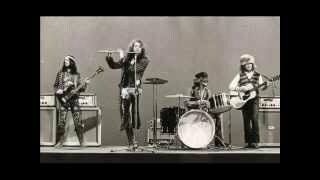 Jethro Tull are a British rock band formed in Blackpool, Lancashire in 1967. Initially playing blues rock, the band later developed its sound to incorporate elements of hard and folk rock to forge a progressive rock signature. 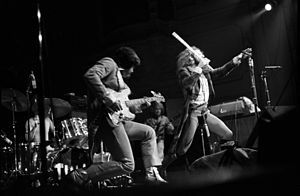 The band is led by vocalist/flautist/guitarist Ian Anderson, and has featured a revolving door of lineups through the years including significant members such as longtime guitarist Martin Barre, keyboardist John Evan, drummers Clive Bunker, Barriemore Barlow, and Doane Perry, and bassists Glenn Cornick, Jeffrey Hammond, and Dave Pegg. The last works as a group to contain new material were released in 2003, though the band continued to tour until 2011. Anderson said Jethro Tull were finished in 2014, however in September 2017 Anderson announced plans for a tour to commemorate the fiftieth anniversary of the band's first album This Was, and then record a new studio album in 2018. The current band line-up includes musicians who have been members of Anderson's solo band since 2012. The band began a world tour on March 1, 2018. The group tried several different replacements for Abrahams. The first was David O'List, who had recently left the Nice. After a week's rehearsal, O'List didn't show up and lost contact with the group. The next choice was Mick Taylor, who turned the group down because he felt his current gig with John Mayall's Bluesbreakers was a better deal. Following this, the group put an advertisement in Melody Maker which was answered by Tony Iommi. After a few rehearsals, the group appeared in The Rolling Stones Rock and Roll Circus on 11 December. 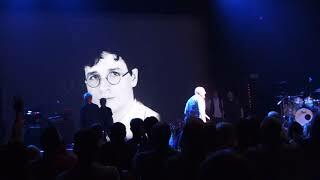 The group performed "A Song for Jeffrey", but only Anderson's singing and flute was live; the rest was mimed. Iommi felt closer to his old band, 'Earth', so he returned to Birmingham to rejoin them. However, his brief time in Jethro Tull instilled a strong work ethic in Iommi. 'Earth' later became Black Sabbath, achieving great commercial success. The next choice was Martin Barre, who had seen the band perform at Sunbury, and had been tried out at the same audition as Iommi. Barre arranged a second audition with Anderson, who showed him some new songs that were in a different style to the blues they had been recording. Anderson was impressed at Barre's technique, and offered him the job as the new guitarist. Barre played his first gig with Jethro Tull on 30 December 1968 at the Winter Gardens, Penzance. 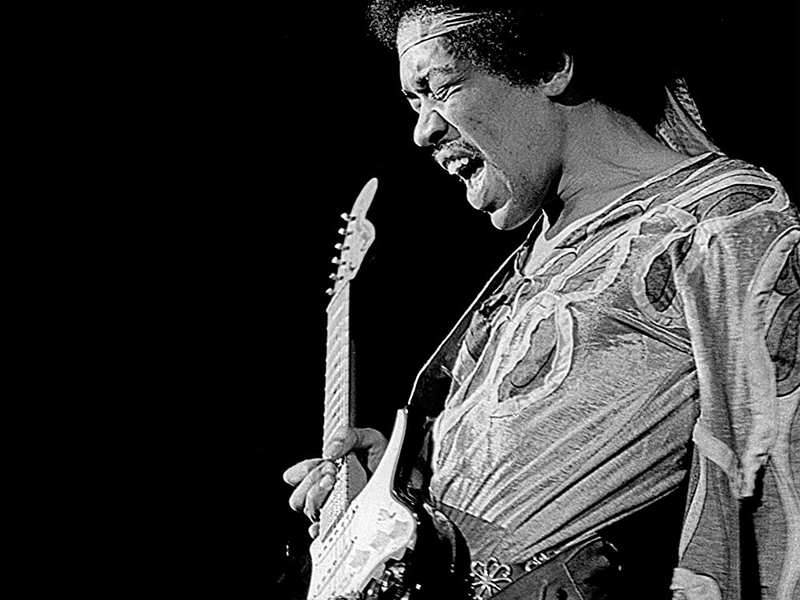 The next album was Stand Up, recorded during April-May and August 1969. It was released in September, and quickly reached No. 1 in the UK charts, the only album by the group to do so. Anderson had now established himself as the group's leader and songwriter, and wrote all of the material, aside from his jazzy rearrangement of J. S. Bach's "Bourre;e in E minor BWV 996 (fifth movement)". The album cover unfolded to a photo insert of the band attached to the covers like a pop-up book. 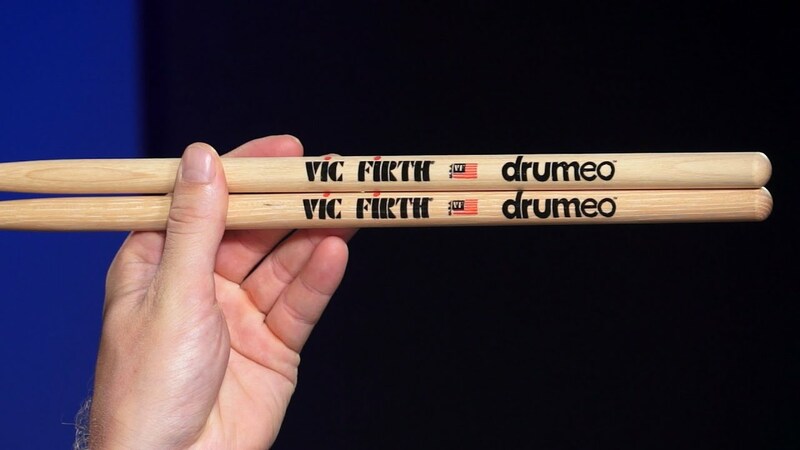 Immediately after releasing Stand Up, the group set off on their first headlining tour in the US, including an appearance at the Newport Jazz Festival. Barre recalled, "It was really the turning point for Jethro Tull--for everything that we were to become and everything we were to inspire in others." The band was invited to play in the Woodstock Festival, but Anderson declined, being afraid that the band would be permanently typecast as hippies, able to play only one musical style. Because of the heavy touring schedule and his wish to spend more time with his family, drummer Bunker quit the group after the Aqualung album in May 1971, and was replaced by Barrie Barlow, who Anderson rechristened "Barriemore". Barlow had first recorded with the band for the five-track EP Life Is a Long Song. Except for Barre, the line-up of Jethro Tull now consisted entirely of former John Evan Band members from Blackpool. In response to the many critics who called Aqualung a concept album, Anderson decided to "come up with something that really is the mother of all concept albums". He had become influenced by Monty Python's humour, and wrote a suite that combined complex musical ideas with a sense of humour to make fun of the band, its audience and its critics. The album, released in 1972, became Thick as a Brick, which was co-credited to a fictional schoolboy, Gerald Bostock. It consisted of a single track running over 43 minutes, split over two sides, which was uncommon for rock albums. Although the finished album was a continuous piece of music, it was written and recorded in stages, with the whole band helping with the arrangements.Thick as a Brick was the first Tull album to reach number one on the (US) Billboard Pop Albums chart with the following year's A Passion Play being the only other to do so. 1972 also saw the release of Living in the Past, a double-album compilation of remixed singles, B-sides and outtakes (including the entirety of the Life Is a Long Song EP, which closes the album), with the third side recorded live in 1970 at New York's Carnegie Hall concert on 4 November 1970. The album was successful, as it allowed new fans to catch up with early singles, particularly in the US where they had not been popular on initial release.New Musical Express called Jethro Tull one of "Britain's most important and successful 2nd generation progressive bands". In 1973, while in tax exile, the band attempted to produce a double album at France's Chteau d'He;rouville studios, something the Rolling Stones and Elton John among others were doing at the time, but supposedly they were unhappy with the quality of the recording studio and abandoned the effort, subsequently mocking the studio as the "Chateau d'Isaster". They returned to England and Anderson rewrote, quickly recorded, and released A Passion Play (1973), another single-track concept album, with allegorical lyrics focusing on the afterlife. 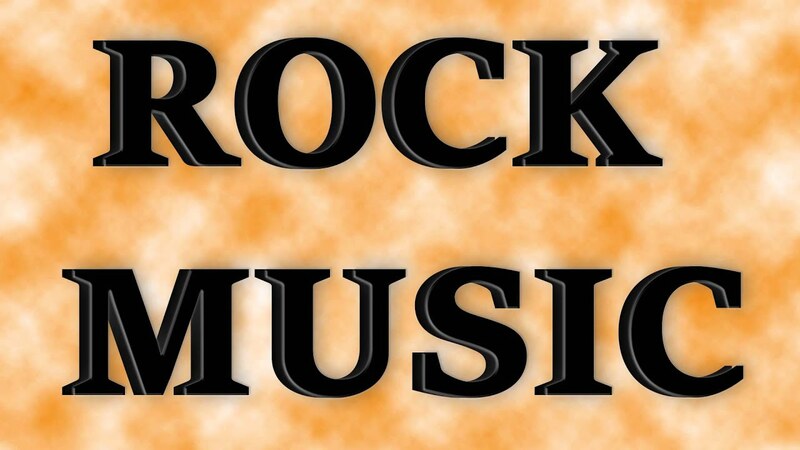 Like Thick as a Brick, A Passion Play contained instrumentation rather uncommon in rock music. The album also featured an eccentric interlude, "The Story of the Hare Who Lost His Spectacles", which was co-written (along with Anderson and Evan) and narrated by bassist Hammond. A Passion Play sold well but received generally poor reviews, including a particularly damning review of its live performance by Chris Welch of Melody Maker. In 1975, the band released Minstrel in the Gallery, an album which resembled Aqualung (1971) in that it contrasted softer, acoustic-guitar-based pieces with lengthier, more bombastic works headlined by Barre's electric guitar. Written and recorded during Anderson's divorce from his first wife Jennie Franks, the album is characterised by a markedly more introspective tone than their previous album, and critics gave it mixed reviews. 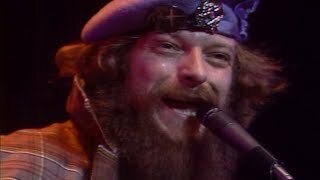 By this point Jethro Tull had been awarded six RIAA gold records for sales of Stand Up (1969), Aqualung (1971), Thick as a Brick (1972), Living in the Past (1972), A Passion Play (1973), and Minstrel in the Gallery (1975). For the 1975 tour, David Palmer, who had long been the band's orchestra arranger, officially joined the band's stage show on keyboards and synthesisers. In February 1975 Jethro Tull sold out five nights at the 20,000-seat Los Angeles Forum, prompting Melody Maker to run the headline "Jethro - Now The World's Biggest Band?" After the tour, bassist Hammond quit the band to pursue painting. John Glascock, who earlier was playing with flamenco-rock band Carmen, a support band on the previous Jethro Tull tour, became the band's new bassist. The band had long ties to folk rockers Steeleye Span (Tull were the backing band on Steeleye Span front woman Maddy Prior's 1978 solo album Woman in the Wings as a way of repaying her for contributing vocals on the Too Old to Rock 'n' Roll: Too Young to Die! album) and with Fairport Convention (Fairport members Dave Pegg, Martin Allcock, Dave Mattacks and Ric Sanders have all played with Tull at one point or another, as well as folk drummer Gerry Conway who became a Fairport member after playing with Tull). 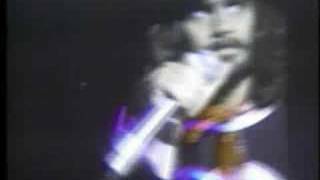 Although not formally considered a part of the folk rock movement (which had actually begun nearly a decade earlier with the advent of Fairport Convention), there was clearly an exchange of musical ideas among Tull and the folk rockers. By this time, Anderson had moved to a farm in the countryside, and his new bucolic lifestyle was clearly reflected on these albums, as in the title track of Heavy Horses (1978), a paean to draught horses. Their third folk influenced album, Stormwatch, was released in 1979. During the making of the album, Glascock suffered major health issues related to open heart surgery from the previous year, and so Anderson played bass on much of the album. After the release of Stormwatch, due to Glascock's continued health issues, Fairport Convention bassist Dave Pegg was hired for the ensuring tour, during which Glascock died from heart complications at his home in England. 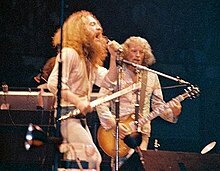 Following the end of the Stormwatch tour in early 1980, Jethro Tull would undergo its largest line-up shuffle to date, resulting in Barlow, Evan and Palmer all leaving the band. Different stories have been given over the years for the various reasons behind the band's restructuring, including that Barlow was depressed and withdrawn after Glascock's death and that Evans and Palmer found their futures in the band to be murky with Anderson's announcement that he wanted to work on a solo album. 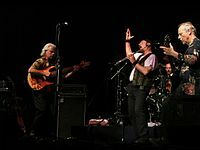 In the 2008 Classic Artists documentary Jethro Tull: Their Fully Authorised Story, Barlow claimed that he left the band on a mutual agreement with Anderson while Evan and Palmer both recalled being dismissed by a letter in the mail, with no prior contact. Following their termination from Jethro Tull, Evans and Palmer briefly collaborated in a classical-based pop/rock band called Tallis. Jethro Tull was left with Anderson (the only original member), Barre and Dave Pegg. Tull's first album of the 1980s was intended to be Ian Anderson's first solo album. 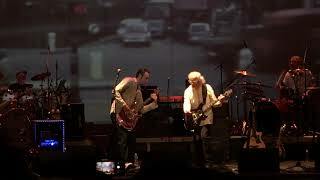 Anderson retained Barre on electric guitar and Pegg on bass, while adding Mark Craney on drums, and special guest keyboardist/violinist Eddie Jobson (ex-Roxy Music, Frank Zappa, Curved Air and UK, the last of which had opened for several shows on Tull's Stormwatch tour). Highlighted by the prominent use of synthesisers, it contrasted sharply with the established "Tull sound". After pressure from Chrysalis Records, Anderson decided to release it as a Jethro Tull album. Entitled A (taken from the labels on the master tapes for his scrapped solo album, marked simply "A" for "Anderson"), it was released in mid-1980. In 1982, Peter-John Vettese joined on keyboards, and the band returned to a somewhat folkier sound--albeit with synthesisers--for 1982's The Broadsword and the Beast. The ensuing concert tour for the album was well attended and the shows featured what was to be one of the group's last indulgences in full-dress theatricality: the stage was built to resemble a Viking longship and the band performed in faux-medieval regalia. An Anderson solo album, which was in fact a collaborative Anderson-Vettese effort, appeared in 1983, in the form of the heavily electronic Walk into Light. As with later solo efforts by Anderson and Barre, some of the Walk into Light songs--such as "Fly by Night", "Made in England" and "Different Germany"--later made their way into Jethro Tull live sets. 2006 saw the release of a dual boxed set DVD Collector's Edition, containing two DVDs--Nothing Is Easy: Live at the Isle of Wight 1970 and Living with the Past. Bassist Jon Noyce left the band in March 2006. Keyboardist Andrew Giddings quit the band in July 2006, citing constant touring allowing not enough time for family. They were replaced by David Goodier and John O'Hara respectively. In the following year The Best of Acoustic Jethro Tull, a 24-song set of Tull's and Ian Anderson's acoustic performances taken from various albums, was released. Included are a new live acoustic version of "One Brown Mouse" and a live performance of the traditional song (attributed to Henry VIII), "Pastime with Good Company". 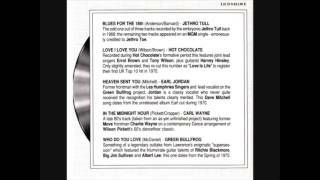 On 30 January 2012, Anderson announced via the Jethro Tull website that Thick as a Brick 2: Whatever Happened to Gerald Bostock?, a followup to Thick as a Brick, would be released on 2 April 2012. It was recorded by Anderson and the Ian Anderson Touring Band, who made the following tour together too. There are two former Jethro Tull members bassist David Goodier and keyboardist John O'Hara plus guitarist Florian Opahle, drummer Scott Hammond and as an additional vocalist Ryan O'Donnell.Thick as a Brick 2 had its world premiere on 14 April 2012 at Perth Concert Hall, Scotland, UK, kicking off an expected 18-month tour supporting both the original and new albums. In November 2013, Anderson announced via the Jethro Tull website that a new album Homo Erraticus ("The Wandering Man") would be released in April 2014. This will be followed by tours in the UK and US, during which the album will be played in its entirety. Homo Erraticus will be a prog-rock concept album which, according to Anderson, "chronicles the weird imaginings of one Ernest T. Parritt, as recaptured by the now middle-aged Gerald Bostock after a trip to Mathew Bunter's Old Library Bookshop in Linwell village. Bostock and Bunter came across this dusty, unpublished manuscript, written by local amateur historian Ernest T. Parritt, (1873-1928), and entitled Homo Britanicus Erraticus." Like Thick as a Brick 2, Homo Erraticus is billed as an Ian Anderson solo album. 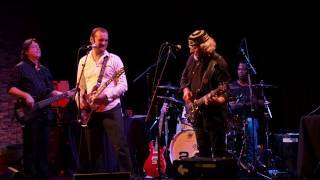 2015 saw Anderson tour with the Ian Anderson Touring Band and the project Jethro Tull - The Rock Opera; a lyrically modified Tull repertoire and new rock songs about the namesake of the band, Jethro Tull, together with elaborate video productions to the stage. The touring band included a female vocalist for the first time, Icelander Unnur Birna Bjrnsdttir who also plays the violin. The 2016 Tour visited Europe, Australia, and the USA. In September 2017, Anderson announced plans for a tour to commemorate the fiftieth anniversary of This Was, and a new studio album in 2018. The band line-up includes Anderson, Hammond, Opahle, O'Hara, and Goodier, all musicians of Anderson's solo band since 2012. On January 2, 2018, Ian Anderson published a New Year post on jethrotull.com, including a picture of Anderson with the caption "IA in the studio working on a new album for release March 2019. Shhhh; keep it a secret..."
On May 25, 2018, Parlophone Records will release a new (50-track) career collection celebrating the band's 50th anniversary featuring all 21 Tull albums, named 50 for 50. Jethro Tull's music has been referenced in popular culture, appearing in movies, (Breaking the Waves, Anchorman, Almost Famous, Apollo 18, also mentioned by Owen Wilson's character in the movie Armageddon) television series (The Simpsons, Breaking Bad, Supernatural, Life on Mars, Fargo) and commercials. 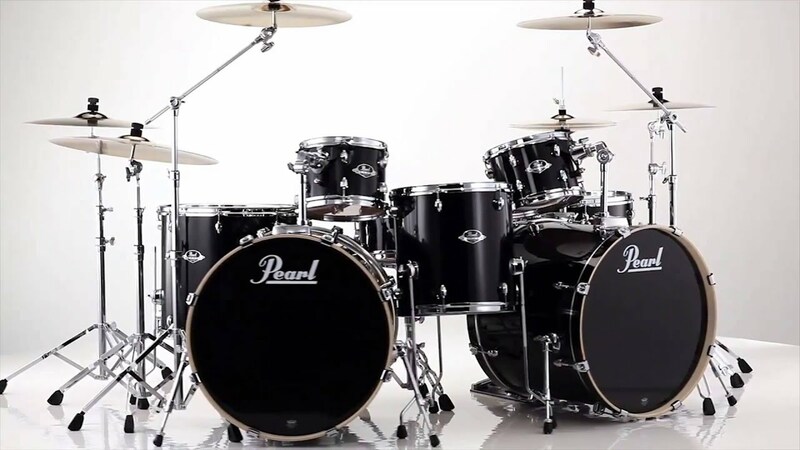 Their influence on musicians includes Iron Maiden's Steve Harris and Bruce Dickinson, Pearl Jam's Eddie Vedder, Dream Theater's John Myung,Blind Guardian's Marcus Siepen,Joe Bonamassa, the Decemberists' Jenny Conlee and folk doom metal band Blood Ceremony. Rush's Geddy Lee, for example, said about Jethro Tull: "I was a massive Tull fan from very young ... and, I hope, that too reflects in Rush. I was mesmerised by Ian Anderson. His presentation was simply magical and he delivered it with such a sense of humour and great style ... We [of Rush] saw it as a huge challenge to try and create something that can seem so dynamic onstage." Bands who have covered songs from Jethro Tull include Iron Maiden, who recorded their own version of "Cross Eyed Mary" for the B-Side of "The Trooper". The folk band Turisas recorded "Broadsword". Finnish heavy metal band Northern Kings recorded "Fallen on Hard Times". 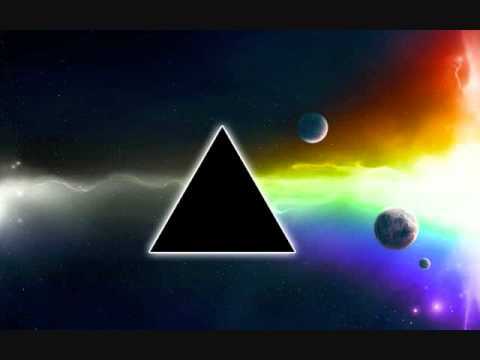 "Rainbow Blues" was covered by Blackmore's Night, former Deep Purple guitarist Ritchie Blackmore's band. The song was released on their 2003 album Ghost of a Rose. The Ronnie James Dio band Elf, in 1972 played live versions "Aqualung" and "Cross Eyed Mary". Also in the seventies, the Italian band Premiata Forneria Marconi (PFM) played live a version of "My God" and "Bouree". 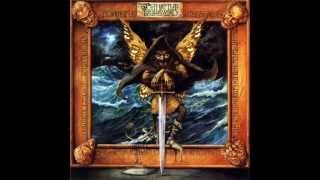 In the Stoner Metal compilation Sucking the 70s, there are two covers of Jethro Tull songs: "Cross-Eyed Mary" and "Hymn 43", from the bands Clutch and Alabama Thunderpussy, respectively. ^ Eder, Bruce. "Jethro Tull". AllMusic. Retrieved 2012. ^ "Ian Anderson's 'Homo Erraticus' to be released on 14 April". Official Jethro Tull website. Retrieved 2014. ^ "Jethro Tull - Biography". Billboard.com. Retrieved 2015. ^ "Jethro Tull Biography". Rolling Stone. Retrieved 2014. ^ a b c d Graff, Gary (15 April 2014). "Ian Anderson Releases New Solo Album, Talks 'End' of Jethro Tull". Billboard. Retrieved 2014. ^ Rabey 2013, pp. 5-6. ^ Rabey 2013, pp. 14-15. 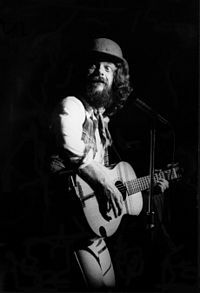 ^ "Biography on official Jethro Tull web site". Archived from the original on 30 September 2011. Retrieved 2011. ^ Rees 1998, pp. 23-23. ^ "Jethro Tull (Ian Anderson)". Austin Daze. 29 August 2006. Retrieved 2012. ^ Dag Sandbu. "MGM Jethro Toe". Collecting-tull.com. Retrieved 2012. ^ Rees 1998, pp. 24-25. ^ Scapelliti, Christopher (June 1999). 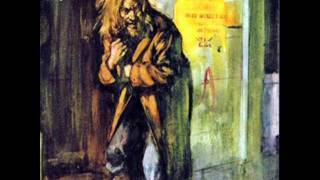 "Jethro Tull - Stand Up". Guitar World. ^ TV.com. "Top of the Pops (UK) - Season 7, Episode 5: 29th January 1970". TV.com. Retrieved 2016. 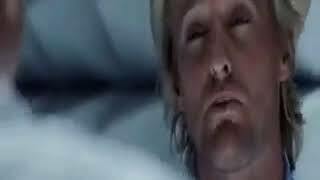 ^ Eder, Bruce. "Nothing Is Easy : Live at the Isle of Wight 1970". AllMusic. Retrieved 2014. ^ a b "Glenn Cornick". Jethro Tull (official website). Archived from the original on 14 May 2011. Retrieved 2011. ^ Fricke, David (2 September 2014). "Fricke's Picks Radio: Remembering Jethro Tull's Glenn Cornick". Rolling Stone. Retrieved 2014. ^ "Clive Bunker - The Official Jethro Tull Website". J-tull.com. 12 December 1946. Retrieved 2011. ^ "Past Members-John Evan". prod.whinc.net. Retrieved 2014. ^ Isle of Skye Business Community. "Ian Anderson". Retrieved 2007. ^ "Grammy's 10 Biggest Upsets". Entertainment Weekly. Retrieved 2007. ^ "Ian Anderson's Equipment - The Official Jethro Tull Website". Jethro-tull.com. Retrieved 2011. ^ Wright, Jeb. "Forty years of Aqualung: An interview with Jethro Tull's Martin Barre". Retrieved 2011. ^ "Ian Anderson Touring Band Members (2012-present)". Retrieved 2016. ^ NRT (5 May 2012). "Set lists of Jethro Tull live concerts in 2012, at the Ministry of Information". Ministry-of-information.co.uk. Retrieved 2012. ^ "Homo Eratticus - The New Studio Album From Jethro Tull's Ian Anderson". Retrieved 2013. 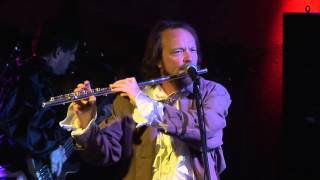 ^ "Jethro Tull: The Rock Opera Musicians (2015-present)". Retrieved 2016. ^ "tour dates (2015-present)". Retrieved 2016. ^ "Jethro Tull Tickets". Retrieved 2017. ^ "Iron Maiden's 10 Proggiest Moments - Prog". Prog.teamrock.com. Retrieved 2016. ^ Magazine, Gitarre & Bass. "Gitarre&Bass: Interview with John Myung and Ty Tabor". Johnmyung.tripod.com. Retrieved 2017. ^ "10 albums that changed the life of Blind Guardian's Marcus Siepen". Goldminemag.com. 23 July 2012. Retrieved 2015. ^ "Interviews: The Decemberists". Pitchfork.com. 30 October 2006. Retrieved 2015. ^ "And Derek Shulman's Favourite Prog Artist Is... - Prog". Prog.teamrock.com. Retrieved 2016. ^ "Ian Anderson and Jethro Tull Took on Time and Won, by". Creators.com. 24 August 2008. Retrieved 2017. ^ "Interview: Nick Cave". Scotsman.com. Retrieved 2017. 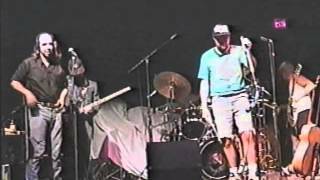 ^ "Set lists of Jethro Tull live concerts in 1994, at the Ministry Of Information". Ministry-of-information.co.uk. Retrieved 2017. Nollen, Scott Allen (2002). Jethro Tull: A History of the Band, 1968-2001. McFarland. ISBN 978-0-7864-1101-6. 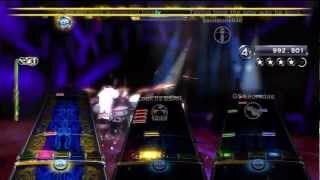 Jethro Tull's Martin Barre Band "Fat Man"
2011 Pride of Arizona - "Jethro Tull"